Anadolu Efes Istanbul registered its first win of the 2012-13 Turkish Airlines Euroleague by downing defending champion Olympiacos Piraeus 98-72 in Group C on Thursday. Efes and Olympiacos are now tied in Group C with a 1-1 records. 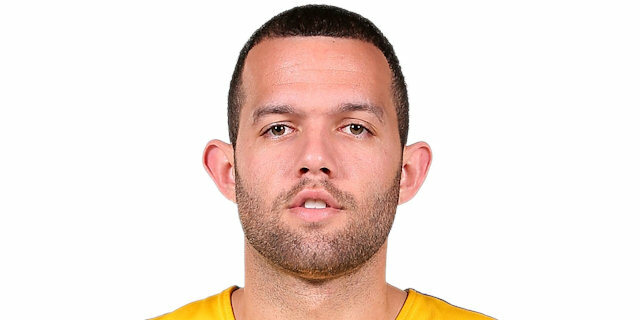 Jordan Farmar paced the winners with 25 points, 8 rebounds and 9 assists. Sasha Vujacic added 15 points, Semih Erden and Dusko Savanovic each had 13, Stanko Barac got 11 and Jamon Lucas contributed 10 for Efes. 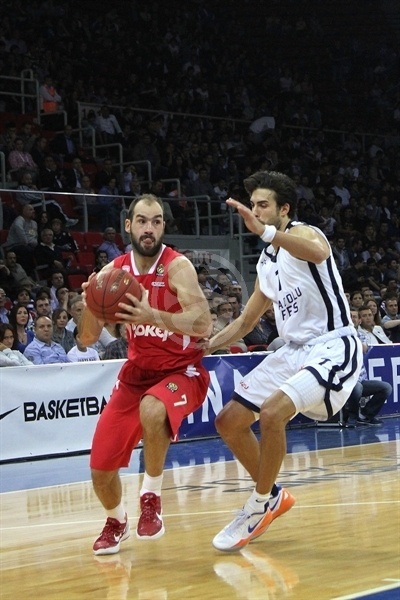 Vassilis Spanoulis led Olympiacos with 14 points. Kyle Hines added 13 and Stratos Perperoglou had 10 for the Reds. Farmar shined early and got some help from Lucas and Vujacic to give Efes a 30-13 lead after 10 minutes. Efes fired in its 7 attempts from downtown in the first half to boost the margin to 54-32 at the break. Olympiacos managed to get within 57-48 after the break, but Farmar and Erden stepped up and sealed the outcome long before the final buzzer. Erden got Efes going with a close basket and a block on Joey Dorsey which allowed Jamon Lucas to get an easy layup in transition, good for a 4-0 lead. Spanoulis stepped up with a driving layup that Sinan Guler matched at the other end. Farmar buried a three-pointer but an off-balance jumper by Pero Antic kept the Reds within 9-4. Farmar insisted from downtown and soon added a jumper to make it a double-digit game, 14-4. Olympiacos called timeout and Kostas Papanikolaou scored in the low post but Lucas matched him with a close jumper and Farmar added his third three-pointer to boost the hosts' lead to 19-6. Dusko Savanovic shined with a fast break layup, which Perperoglou bettered with a corner triple. Efes kept finding open looks all over the place and found a new go-to guy in Vujacic, who struck twice from downtown to break the game open, 28-9. Spanoulis joined the three-point shootout and Acie Law added a free throw but a layup by Lucas kept Efes way ahead, 30-13, after 10 minutes. Vujacic buried his third shot from beyond the arc early in the second quarter and even after Hines shined with a high-flying tip-in, Stanko Barac copied him at the other end for a 20-point Efes lead. Hines added a power layup, but Barac erased it with free throws. Farmar returned to the floor and immediately found Kerem Tunceri for a corner triple, which forced Olympiacos to call timeout at 40-17. Kostas Sloukas tried to change things for the Reds and Hines bettered Farmar's driving layup with a three-point play to get his team within 42-22. Efes called timeout to readjust its defense and soon Tunceri nailed a catch-and-shoot jumper. Georgios Printezis scored around the basket, but Erden brought the crowd to their feet with a slam. Papanikolaou nailed a triple from the corner and Dorsey got Olympiacos a bit closer, 46-28. Spanoulis and Guler traded layups, but free throws by Farmar soon restored a 50-30 Efes lead. Dorsey dunked only to see free throws by Barac and a fast break layup by Savanovic fix the halftime score at 54-32. Printezis struck from downtown immediately after the break but Erden matched it with a layup-plus-foul. 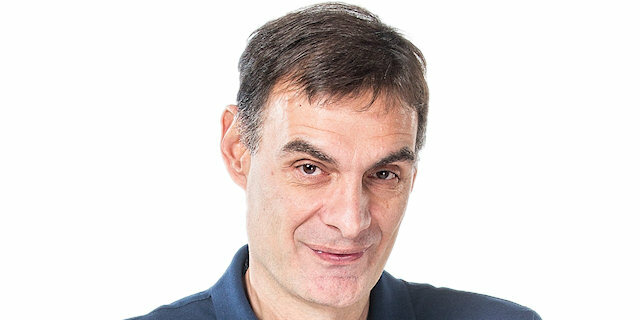 Perperoglou hit a three-pointer and soon added a jump hook, getting Olympiacos within 57-40. 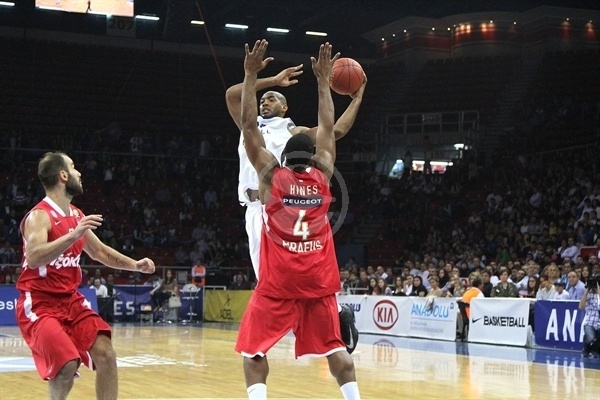 Efes struggled to find open shots and a three-pointer by Spanoulis gave the Reds some hope at 57-43. Efes called timeout but Hines scored again and Vangelis Mantzaris added a running triple that brought Olympiacos within single digits, 57-48. Lucas answered from downtown but Mantzaris sank another one from beyond the arc. Savanovic took over with a left-handed driving layup and a put-back dunk that gave Efes some fresh air at 64-51. Erden and Farmar made free throws and a basket by Barac kept Efes out of trouble at 69-51. Acie Law swished a mid-range shot and a driving layup by Spanoulis brought Olympiacos within 70-55. Vujacic split free throws, Hines scored in penetration and a wild buzzer-beating three-pointer by Farmar gave Efes a 74-57 margin after three quarters. Tunceri hit a baseline jumper early in the fourth quarter and an off-balance layup by Farmar sealed the outcome, 78-57, with over 9 minutes to go. Olympiacos was not done, however, and fought for points differential. 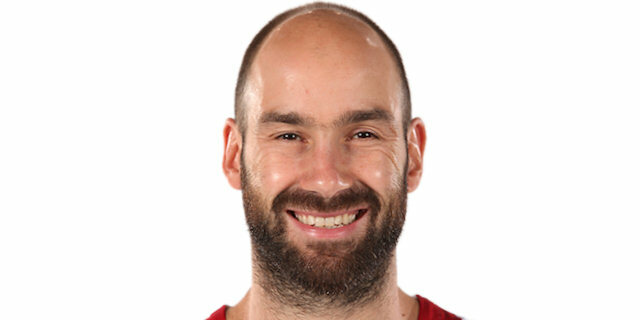 Spanoulis scored in penetration, Hines and Barac traded two-handed dunks and Antic shocked the crowd with an acrobatic three-point play that kept the Reds within 80-65. Erden stepped up with a tip-in and Vujacic soon restored an 84-65 margin with over 4 minutes to go. 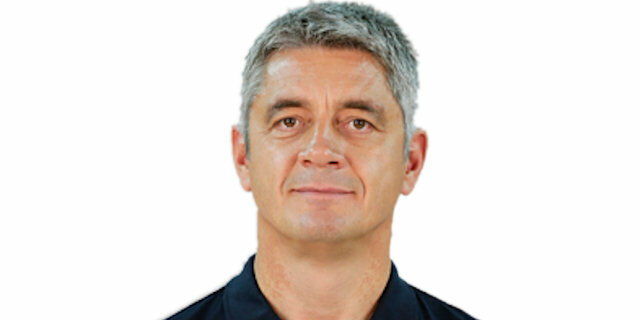 Efes had brought Tunceri off the bench to opt for longer possessions and run the game clock down. Vujacic nailed a jumper that Perperoglou matched with a close basket. Printezis and Sloukas hit free throws but it was already too little, too late for the Reds, as Efes had plenty of time to celebrate an important win in front of its fans. "The big difference at the end is not the reflection of that kind of tough game. We won against a very strong team with an unrealistic difference. Starting from the first minute of the game, we forced them for early shots, got the rebounds, found the rhythm and fast-breaks to break the balance. Then we suffered a little bit in the beginning of the third quarter, but managed to take control again to win. I congratulate my players for challenging and winning against a very important opponent like Olympiacos." "Congratulations to Anadolu Efes for their excellent game and win. They were amazing tonight. We didn't even foul them, especially in the first quarter. We didn't react against Efes. We didn't exist. We committed 9 turnovers just in the first quarter. They made easy layups and had a huge margin. Any reaction was meaningless. We were pathetic today." "It's a game we've been trying to find ourselves. We came together and are trying to figure out how to become one. You know we came from different places and are trying to build the chemistry in the team. We knew it was going to be a very tough game against the former champions. We got an early lead, but they made a big comeback early in the third quarter. But then we started to open the game back up." "It was a terrible start that we couldn't handle for the rest of the game. They shot an incredible percentage from the three point line and built a big difference. We tried to comeback in the third quarter, but it was not so easy after having more than a 20-point deficit."